If you are following @GoldenKnights on Twitter, you’re probably already aware of this as they’ve found about 47 different creative ways to remind you, but if not, single game VGK seats go on sale at noon today. With the 135th overall pick in the 2018 NHL Draft, the Golden Knights selected Brandon Kruse from Bowling Green State University. BGSU just so happens to be GM George McPhee’s alma mater, however, in an interview with FloHockey.tv, he says that had no impact on his decision to draft Kruse. The creator of Corsica.hockey released a projection for every team and had the Golden Knights once again eclipsing the century mark. This model is widely regarded as one of the most accurate out there. Unlike most who had the Golden Knights in the 60’s or 70’s last season, Perry projected Vegas at 82, one of the highest we found. Hopefully, he’s 25 points short again. Individual awards in hockey are earned in the regular season. That’s why Gerard Gallant already has the Jack Adams Award sealed up. 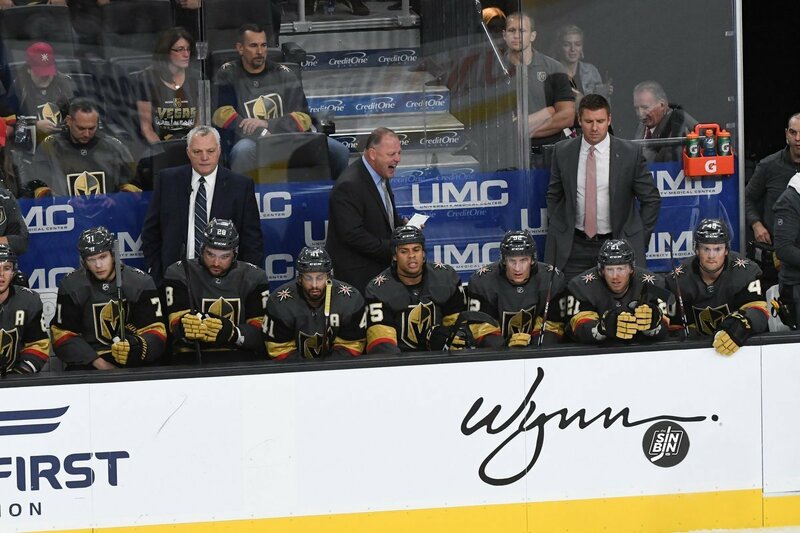 However, heading into Game 5, the soon-to-be Coach of the Year made some big boy decisions, and boy did they pay off for his Golden Knights. Gallant inserted three players into his lineup, two of which hadn’t seen the ice in the playoffs, and made a line swap in an attempt to jump-start the 2nd and 3rd lines. 60 minutes of hockey later, and if there was a Coach of the Playoffs award, Gallant’s name could begin to be engraved on that one too. 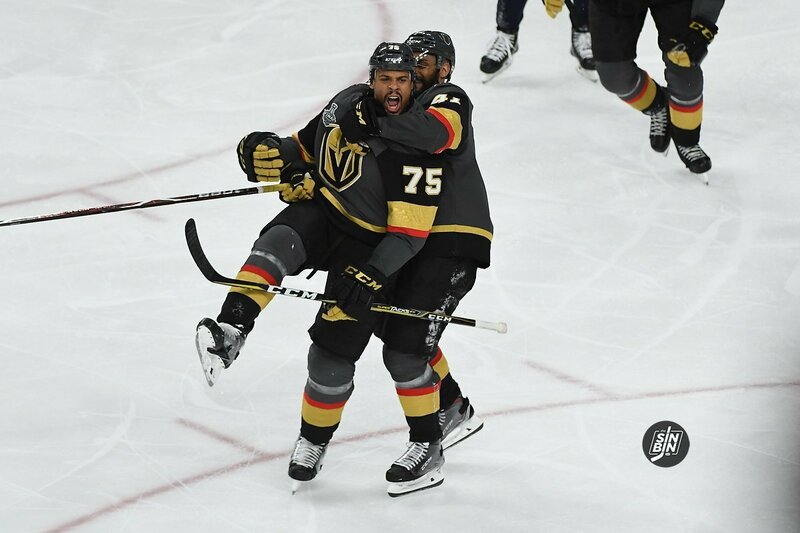 The additions to the lineup and the move to switch David Perron and Alex Tuch were some of the biggest reasons the Golden Knights took the 3-2 lead in the series. Tuch scored twice. 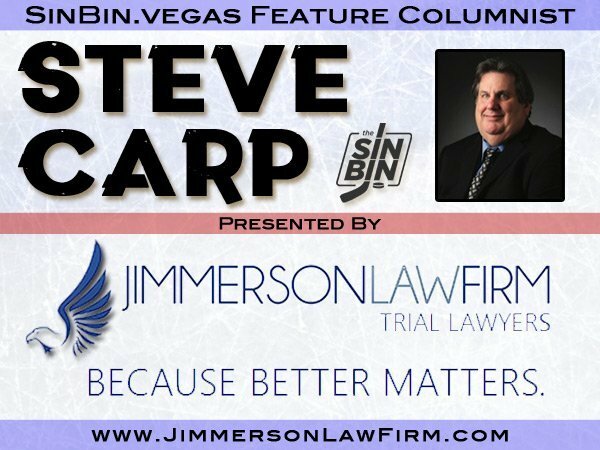 Lindberg and Carpenter each got assists, and Perron looked like himself for the first time during the playoffs netting two assists and creating a ton more chances. 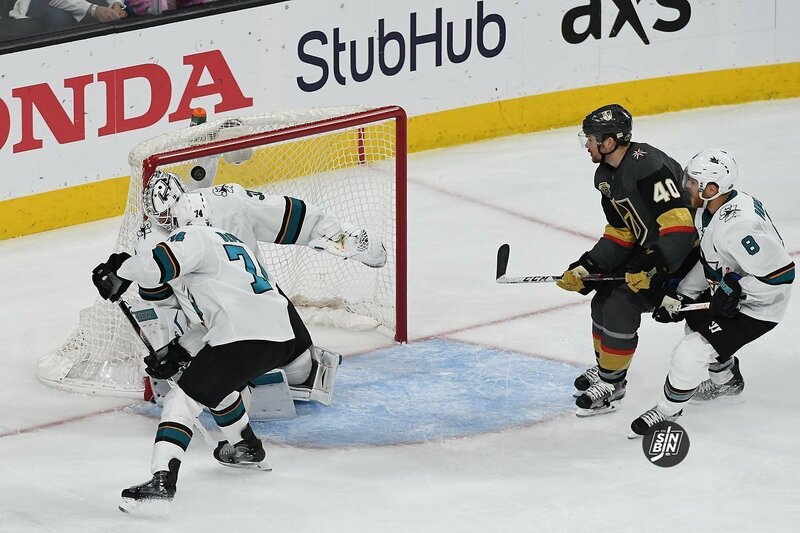 Game 4 was the first time in the eight-game playoff history of the Golden Knights where they were severely outplayed. It ended as a 4-0 beatdown and the Sharks had evened the series. In response, Jack Adams finalist Gerard Gallant appears to be making a host of lineup changes. Based on morning skate, it seems Ryan Carpenter, Oscar Lindberg, and Luca Sbisa will be placed into the lineup, while Tomas Tatar, Tomas Nosek, and Jon Merrill will all come out. This will be the first game the Golden Knights will be without Nosek since February 11th, and just the 3rd game all year in which Nosek will be a healthy scratch. Oddly enough, the last time Gallant chose to scratch Nosek it was a 5-4 overtime win against the Sharks on November 24th. The changes magnify the 1st period, however. 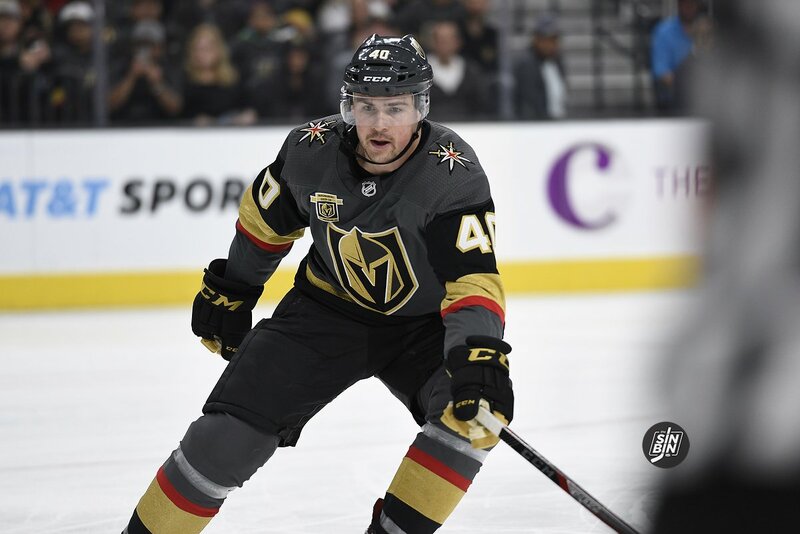 With multiple players who have been out for over a month returning to the lineup and potential changes to three of the four forward lines (see below), the Golden Knights are vulnerable early. It often takes players a bit of time to get back into the flow after missing games, but Vegas can’t afford to fall into a hole. Throughout this entire season, when the Golden Knights have really needed a game, they’ve usually gotten it. But beyond that, they’ve almost always started out those games well. That was the case the last time they had to “flip the switch” back on going from a disastrous loss in Calgary to the playoff opener, but the time before, against the Flames at home, it took a period or so to really get going. This team has it in them to play a good game tonight, no one is debating that. They just have to do it right away. They can’t play anything but their best from the moment the puck is dropped, and that’s what makes the lineup changes concerning. 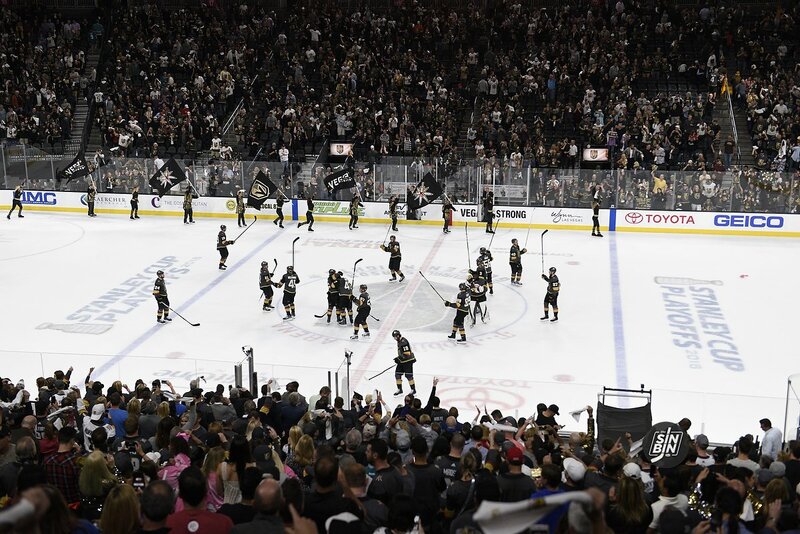 The Golden Knights have home-ice advantage in a best of three series, now they have to take advantage of it, and they can’t let cold legs and unfamiliarity get in the way. Due to the string of injuries down the stretch and a slew of maintenance days over the final week, the All Star head coach Gerard Gallant has never had a full complement of players in which to choose his lineup. 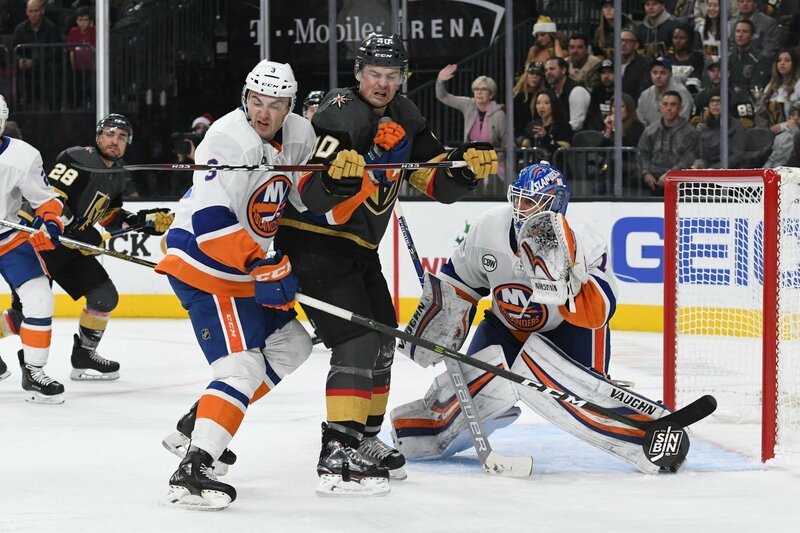 However, as the team prepares for a first round matchup with the Los Angeles Kings, it appears the Golden Knights have just about everyone healthy, which means choices for Gallant. The top six is almost a guarantee to be set as it has for much of the season. A first line of William Karlsson, Jonathan Marchessault, and Reilly Smith, and a second line of Erik Haula, James Neal, and David Perron. Using our judgment here at SinBin.vegas, we believe Alex Tuch, Cody Eakin, Pierre-Edouard Bellemare, and Tomas Nosek are also all guarantees to be in the lineup come Game 1. That leaves two spaces open that need to be filled with a group of 5 players. Those players are Tomas Tatar, Ryan Carpenter, William Carrier, Ryan Reaves, and Oscar Lindberg needing to fill roles as third and fourth line wingers. At the trade deadline, Geroge McPhee added Tomas Tatar to be the third line winger with Eakin and Tuch. Due to the injuries, he has bounced around lines and his play has never quite lived up to what was to be expected of him. However, now that the playoffs are here and the top six are all expected to be back, Tatar will almost certainly find his way into the position he was brought to play in and draw the start against the Kings. That leaves us with four guys to fill one vital role for the Golden Knights, fourth line winger. On the other 11 forwards, we’ve got a pretty strong idea, on this one, we’re clueless as to which way Gallant will go. So, we’ve put together a list of pros and cons for each of the potential option and then took our stabs at who each of us believes will draw into the lineup on Wednesday. Pros: We all know what Reaves brings to the ice. Love it or hate it, he can be effective. Over his career, he dressed for 36 of 58 playoff games his teams played in. Last season, he played in all 11 games adding 42 hits, nine blocks and eight penalty minutes. Reaves was brought in just in time for the home and home with LA. Possibly a sign that Gallant could decide to go with Reaves in the first round. Cons: Lack of speed, finishing ability, and potential to slow down transition game. 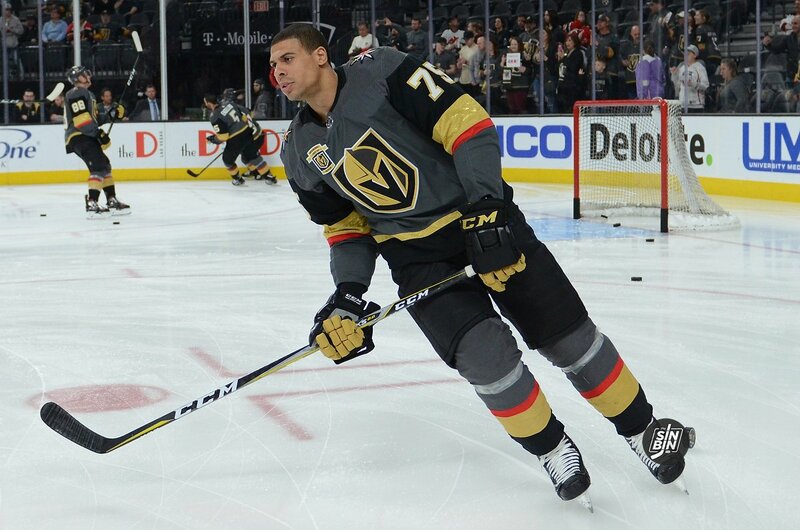 The Golden Knights high tempo could earn Reaves a scratch or little TOI. 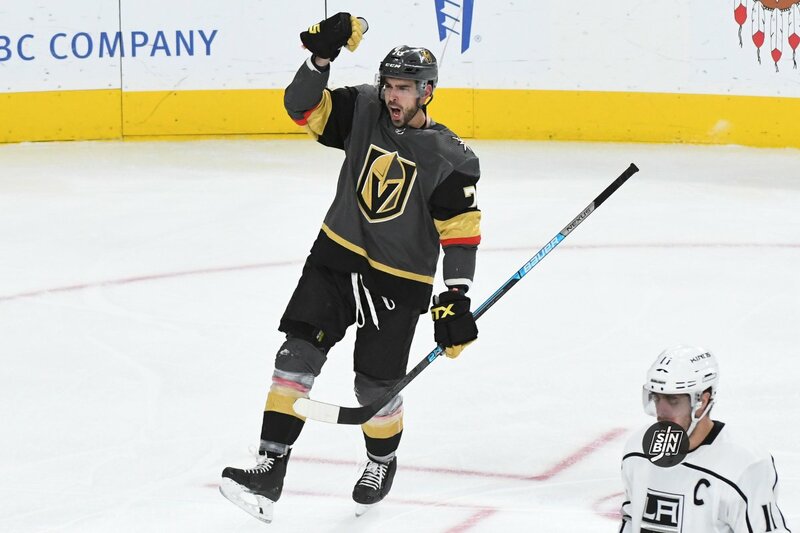 His forechecking ability has led to penalties, specifically in the two games in which he played for the Golden Knights against the Kings. He’s considered a playoff type player, but his career record in the playoffs is 15-21. After last night’s victory in Philadelphia, the Golden Knights are 6-4-0 without 40-point producing forward James Neal. At times during the 10-game intermittent stretch, Vegas has struggled to put the puck in the net. For instance, the Golden Knights have been shutout or held to one goal nine games this season, three of them have been in Neal’s absence. Without Neal, the Golden Knights have scored 31 goals in those 10 games. 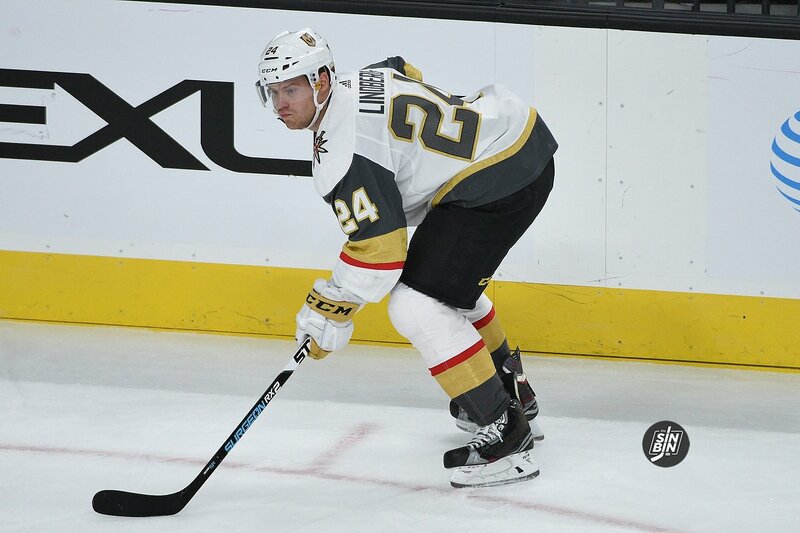 Forwards Alex Tuch, Ryan Carpenter and Cody Eakin stepped up offensively for Vegas. Plus, all three Tomas’s lit the lamp, and the blue line added some help on the scoreboard as well over this span.